As with any other business you need to plan your work and work your plan. For starters, there are many ways to make money with real estate. A wholesaler is a middleman. He is the connector between seller and investor. 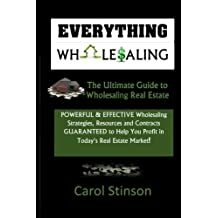 Because he’s not buying the properties himself, wholesaling real estate contracts is a fast way to get into the game and to create almost immediate cash flows.